Starfish Circle is a showcase of Silicon Valley’s most innovative nonprofit organizations and the latest news as it pertains to the community and people of Silicon Valley. 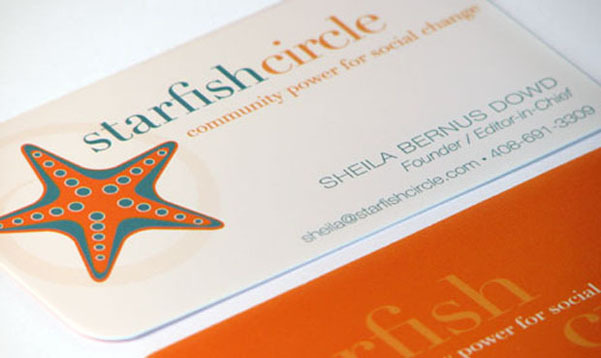 Founder of Starfish Circle, Sheila Bernus Dowd, worked with e design to develop a brand for her company with a fun, vibrant color palette. Given that she focuses on community and youth development and issues that affect her community, this look is appropriate and engaging. Sheila was inspired by “The Starfish Story.” The story tells of how one person can make a difference and can lead to many people making a difference in society. We were also influenced by the story and purposefully designed the logo to be lighthearted yet professional.